It has been said that it’s not the size of the dog in the fight that counts, but rather the size of the fight in the dog that determines the outcome. If that is the case, then the Germans were no doubt relieved that the Soviets did not have access to their IS-3M Tank during World War II. 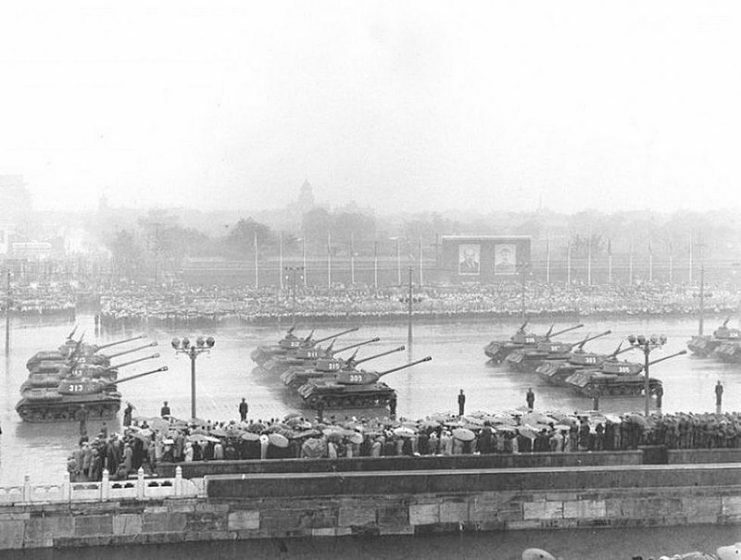 The tank was displayed for the first time during the Allied Victory Parade in Berlin, in September 1945. It was such a leap forward in technology, size, and ammunition that its capabilities even gave the Allies pause to thank the heavens that the Russians were on their side – temporarily, at least. After the war, the tank was not on public view until the recent “Tank Fest,” a celebration of all things tank-related which was held over three days this summer in Great Britain. The Tank Museum obtained a loan of the vehicle from the Belgian Royal Military Museum in Brussels. 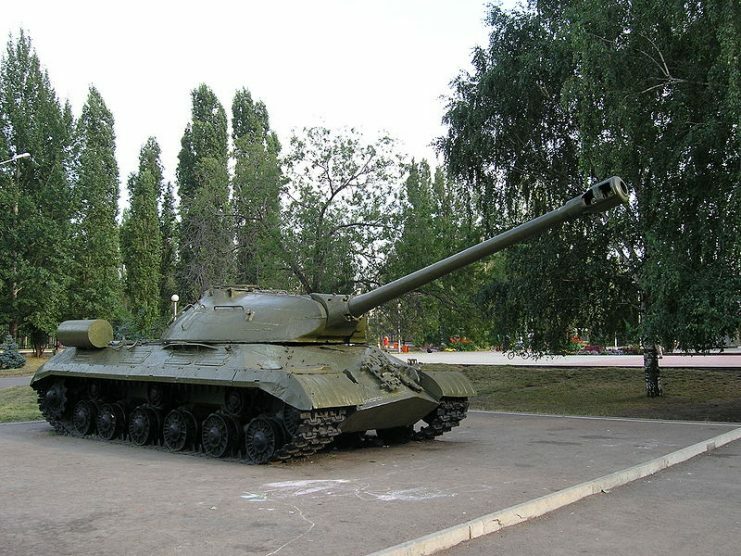 During wartime, the Soviets rushed to get the IS-3 ready for battle, but its complicated design and many advances held up production, meaning that this tank saw no action during the war. Although similar to the IS-2 in that they share the Kharkiv V2-IS diesel engine and some other features, the striking difference of the IS-3 lay in its ammunition capabilities. 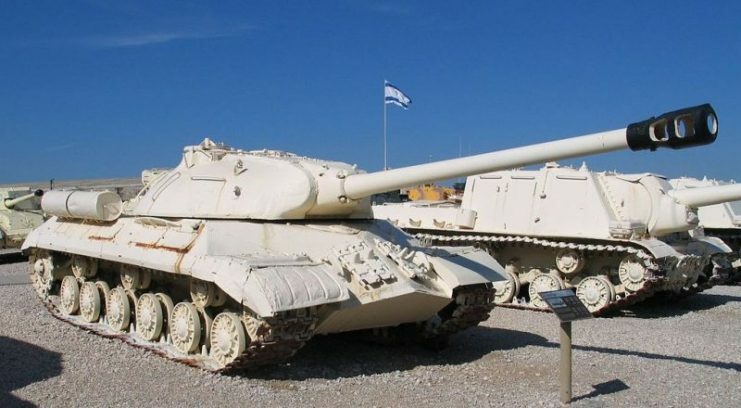 Designers used an in-service artillery piece as its gun and, consequently, the IS-3 could fire ammo that not only rendered enemy armor useless but also got through a Tiger Tank from a distance of more than a mile (1.6 kilometers). It carried 28 rounds, usually a combination of 18-HE Frag and 10 A.P. Each individual in its four-man crew had separate tasks: commander, gunner, loader, and driver. It was a tight fit. Although the tank’s design made certain things harder, such as loading the ammunition, it was far sturdier than the IS-2. It weighed 46 tons, and its “pike nose” hull front was as much as 120 mm thick, while the turret-shaped front hit a maximum density of 240 mm. These factors increased the tank’s thickness even more and made its exterior virtually impossible for any German gun to pierce. These dual improvements in impenetrability and firepower made the tank highly sought after by the Red Army. Consequently, the tank was rushed into production, which led, perhaps inevitably, to problems left unsolved. By May 1945, only 29 had been made, and more than half failed the testing process. Frontal view of an IS-3. The squat solid-looking front profile and pike nose armor shape are highly distinctive. After the war, in 1946, 2,000 tanks had been built, but the design still needed work. Adjustments were made to the hull roof, mounting brackets, clutch, gearbox, and even the radio. 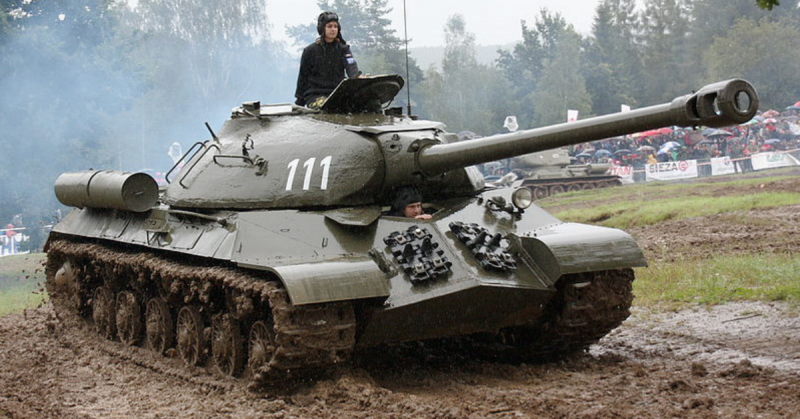 Although the IS-3 did not get used in World War II, it has been used in other conflicts. Russia used it to quell the Hungarian Uprising in 1956. Only one IS-3 was damaged, though 2,500 Hungarians lost their lives. Egypt has used it too, in 1967, when engaged in conflict with the Israelis during the Six-Day War. 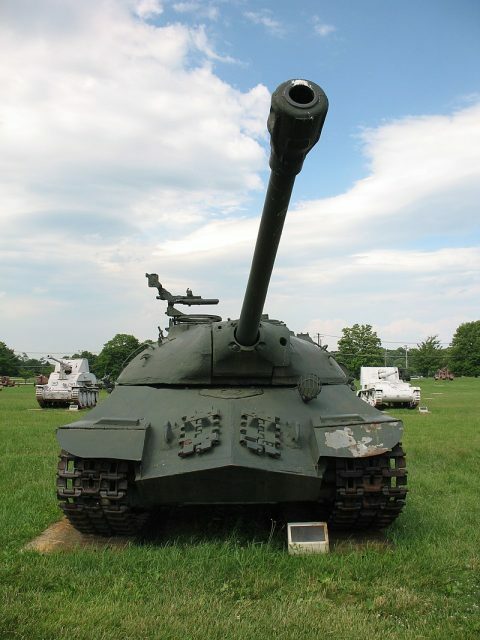 The history of the tank that was on display in Great Britain is not clear, but one aspect of the IS-3 Tank is: it was an advanced piece of military equipment in 1945, one that many thought capable of massive destruction. In the end, however, it was its predecessor, the IS-2, that proved itself built to last. 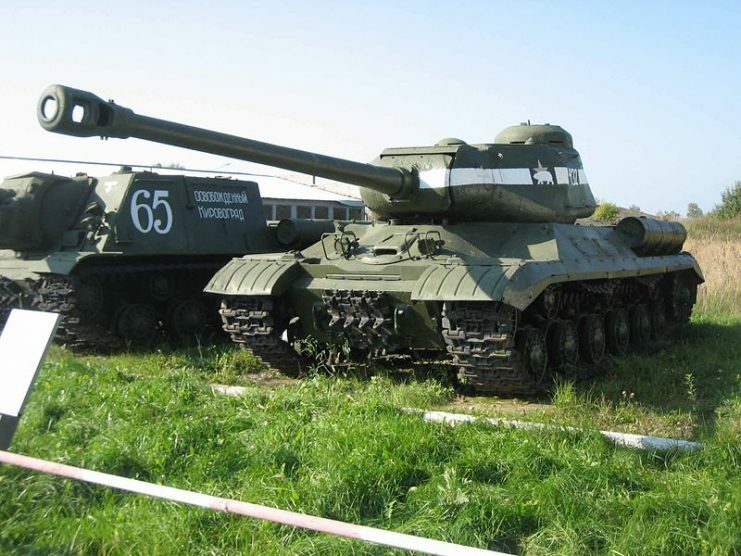 The Russians stopped building the IS-3s in the late 1950s, and any remaining ones were put into storage. Although the tanks were at first thought to be a remarkable addition to the Soviet arsenal, it couldn’t live up to its promise.